Finnish gothic metallers TO/DIE/FOR have inked a deal with Massacre Records. The band’s sixth album, “Samsara” — which was made available in Finland last December — will receive a wider European release during the summer. A video for the song “Hail Of Bullets” can be seen below. TO/DIE/FOR released a “best-of” collection, “Epilogue From The Past – Best Of”, in January 2011 via Spinefarm Records. Included on the set was the brand new song “Angelica”. TO/DIE/FOR‘s fifth album, “Wounds Wide Open”, was released in Finland in October 2006. The follow-up to 2005’s “IV” was recorded by Samu Oittinen at Fantom Studios and by Jari-Jukka Nippala at Sonic Image, and was mixed at Sweden’s Abyss Studios by Peter Tägtgren (DIMMU BORGIR, CELTIC FROST). I am JAPE and i have been doing music since i was 12 years old. In TDF i am singer and also i write songs and lyrics etc. Then our great guitarists are JUPPE SUTELA and ANTZA TALALA. Bassist JOSEY also played in many bands before, SANTTU LONKA is been our drummer since 2004. JUSKA used to played in HIM but he joined back to TDF, he is a nice guy too. We are friends and we´ve known eachothers a long time…since we were kids. The new To/Die/For lineup will make its live debut on October 23 at the Icehall in Kouvola, Finland. 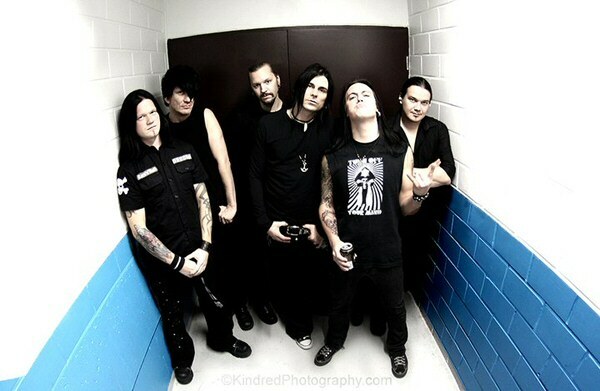 In addition, the band will enter the studio on October 5 to begin recording its sixth album for an early 2011 release.